Infolocity | How fast can YOU communicate? How fast can YOU communicate? 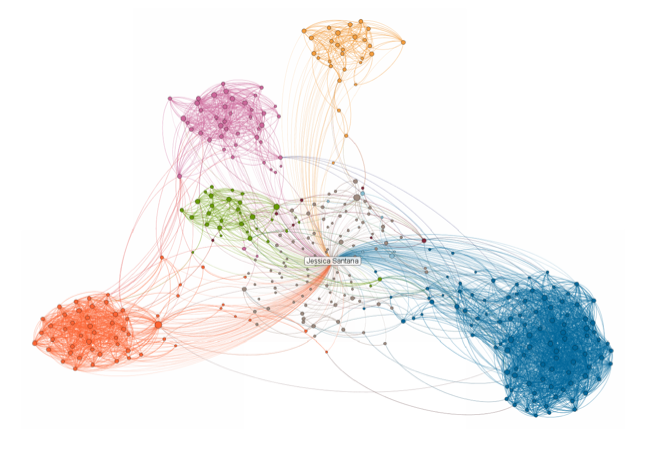 Duncan Watts wrote a terrific introduction to social network analysis (SNA) in 2003 called “Six Degrees: The Science of a Connected Age”. In the book, Watts describes the mathematical origins of SNA and the role of “small world networks” in epidemics, cascades, and innovation. Epidemic modeling can be used to model not only the outbreak of diseases like SARS, but also the diffusion of an innovation. One interesting point that Watts raises is that “on a small-world network, the key to explosive growth of a disease is the shortcuts.” This leads me to ask what shortcuts exist between an innovator and a market. Is there a way to make the diffusion of an innovation more efficient? I am fascinated by LinkedIn’s new inMaps feature. A lot has happened since my last post on this blog over a year ago. I graduated from UC Berkeley with a Master of Information Management and Systems and certificate in the Management of Technology. I became a strategy and management consultant. I began and ended a startup that used computer vision and augmented reality to help consumers make wiser purchasing decisions. Throughout it all, I met incredible people, explored outlandish ideas, and gained a ton of knowledge. And I came away with a theory. Hackers and entrepreneurs catalyze through the marriage of their networks. Hackers, or creators, are able to reach a broad market that values their intellectual property through the entrepreneurs, or organizers, that recognize value in their creation. 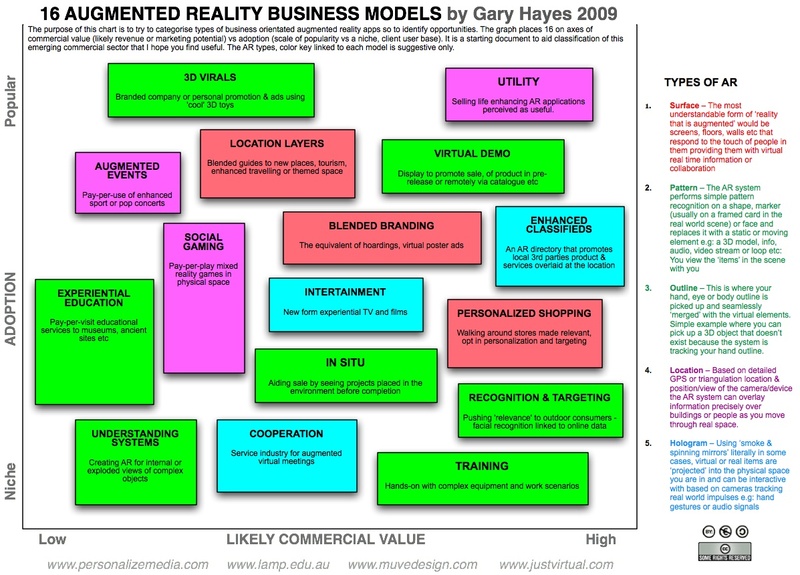 Having to force myself to focus on the business strategy of mobile AR now. Will continue to research and stay aware of advances in AR technology, but to a lesser degree. Currently analyzing value chain of mobile AR. Also creating profiles of key industry players outlined in last post. Hope to talk with those folks soon to clarify any questions about their business strategy/challenges. Putting off social issues of AR until after I complete bulk of business strategy research. In addition to deciding what information should be presented, how, and where, AR requires avoiding displaying information in a way that occludes the background detail. View management determines where things are placed in the AR view so as to avoid covering it. In order to determine what 3D objects are in the view and where, a visible-surface determination algorithm is used. As usual, processing power is a key problem with computer vision.